Excellent workmanship and high-quality material make the PROspeedrope a professional skipping rope for long-time use. The PROspeedrope skipping rope PRO is suitable for general fitness training as well as serious sports for competition preparation. It has a very long lifespan thanks to high-quality materials ans excellent workmanship. Burn calories, strengthen your stamina as well as speed, and exercise your coordination with the PROspeedrope skipping rope PRO. 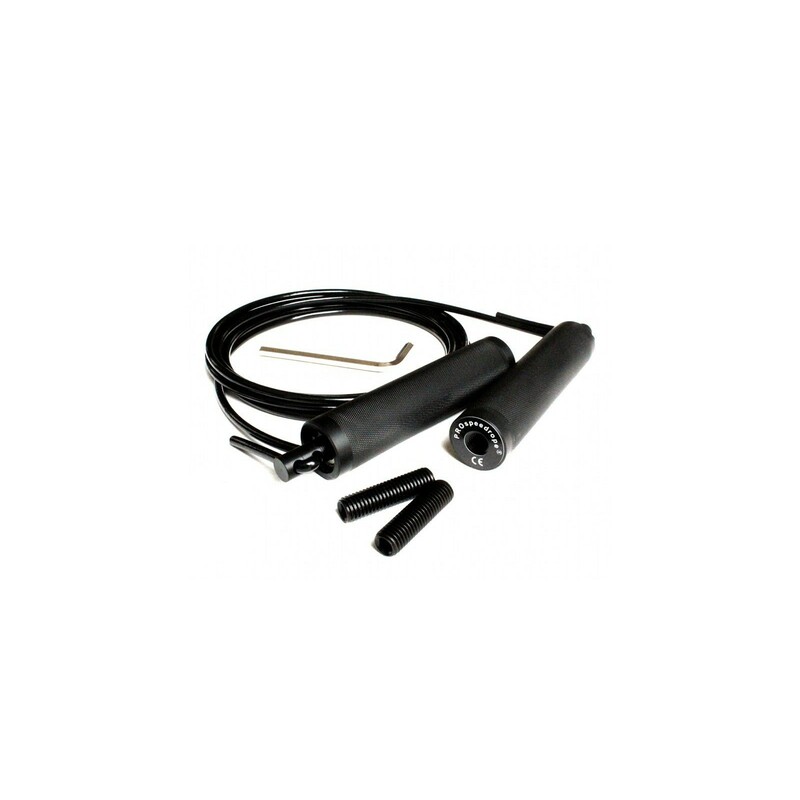 The PROspeedrope skipping rope PRO offers a very high quality. Handles are carefully screened guaranteeing best grip. A snap-low steel braid can be found inside the 5 mm strong PVC encased rope. The high-quality ball bearings provide a comfortable, smooth swinging. 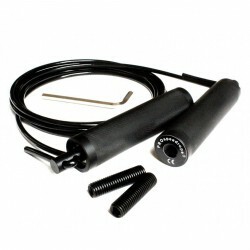 The PROspeedrope skipping rope PRO provides adjustment weights and tools, i.e., for individual adjustment of length of the rope. PROspeedrope Skipping Rope Replacement Cord In stock! PROspeedrope Additional Weights In stock!